Sunday I woke up thinking about brunch, I wanted to go somewhere around the Met to consolidate travel, a small amount of googling and I came across Sarabeth and made my way there but the wait for 1 was 30 minutes, so, I went to the Met with no breakfast. To make up for this I took a long Uber to Harlem to get my hands on the well renowned chicken from Charles’ Country Pan Fried Chicken store. 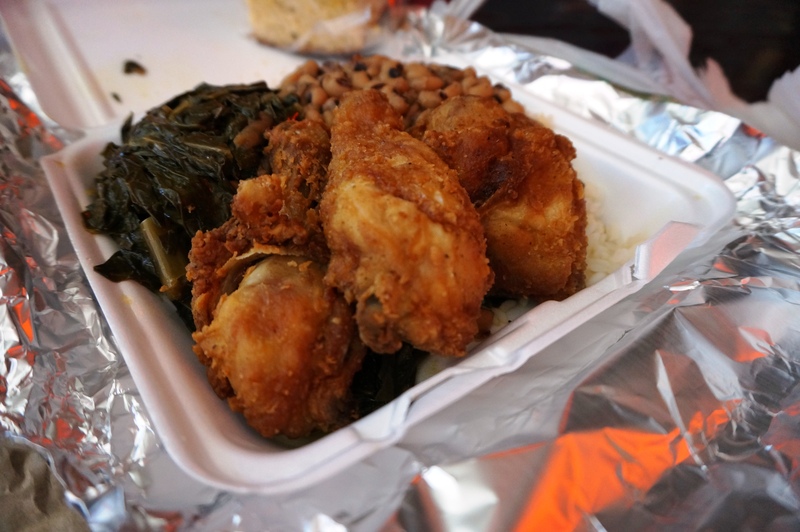 The food was wholesome and really southern, the chicken was juicy, seasoned and coated in a delicious crisp coating. It was slightly enhanced by their hot sauce which was dynamite with the chicken. 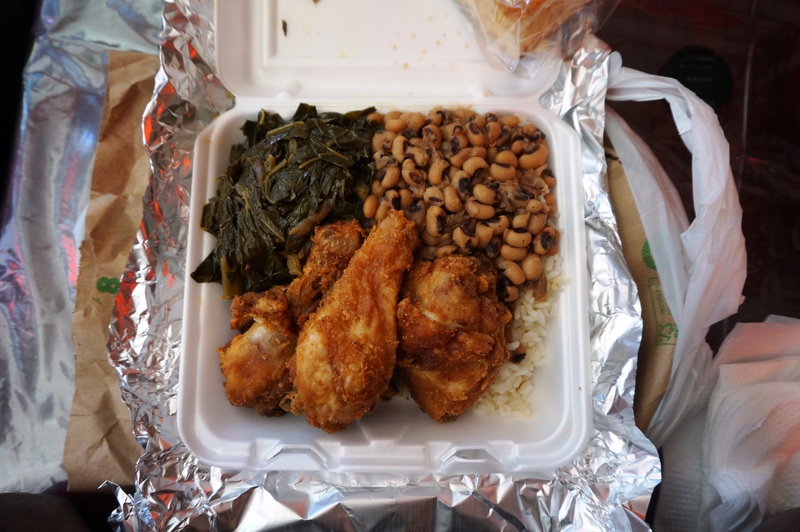 I chose their collard greens and black eyes peas as sides which went well with the chicken. While the trek is far and the subway doesn’t really get there it’s Worth the trip for a thoroughly satisfying chicken dinner (lunch). Posted on October 28, 2015 by AdrielPosted in Fried Chicken, New York, United StatesTagged Chicken, fried chicken, New York City.